Well, when something works great the first time, it is a good idea to go back to it again. 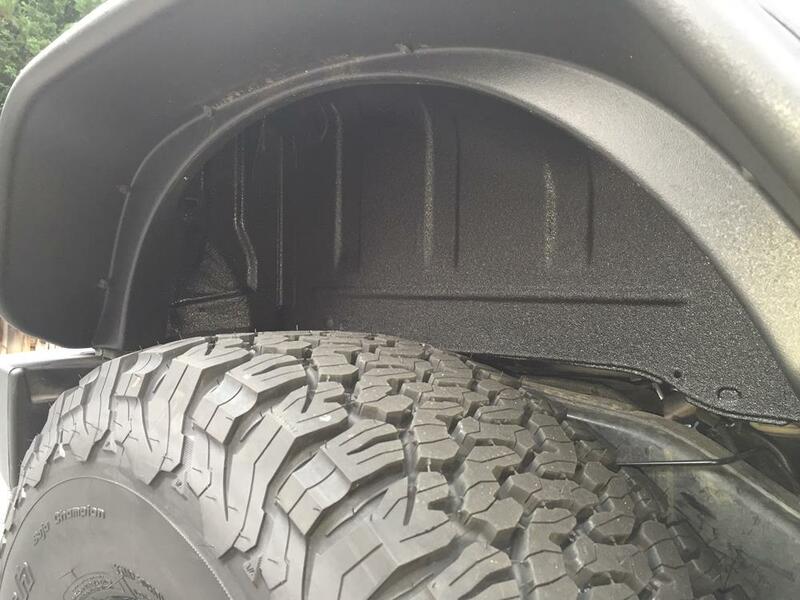 That was the case with using Rhino Linings on the Rightline Gear Jeep Build for SEMA 2015. We already removed the carpet and had the inside of the Jeep sprayed with Rhino Linings by Truck Toys & 4×4 Center. I absolutely love having this feature and it has allowed me to go without the factory top through this point of the summer. I washed the inside of the Jeep (using car wash, sponge and hose) for the first time the other day and it worked like a champ. Now it was time to add Rhino Linings to the rear wheel wells, the idea that first drew me to Rhino Linings in the first place. 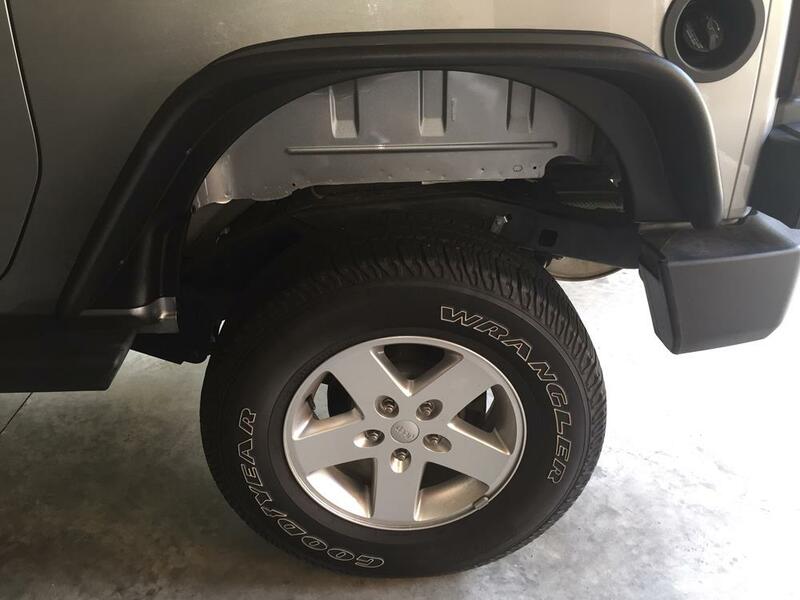 I had purposefully left off the factory rear plastic splash guards when installing the Bushwacker Fender Flares. Now for the Rhino Linings treatment. Indestructable and looks great. 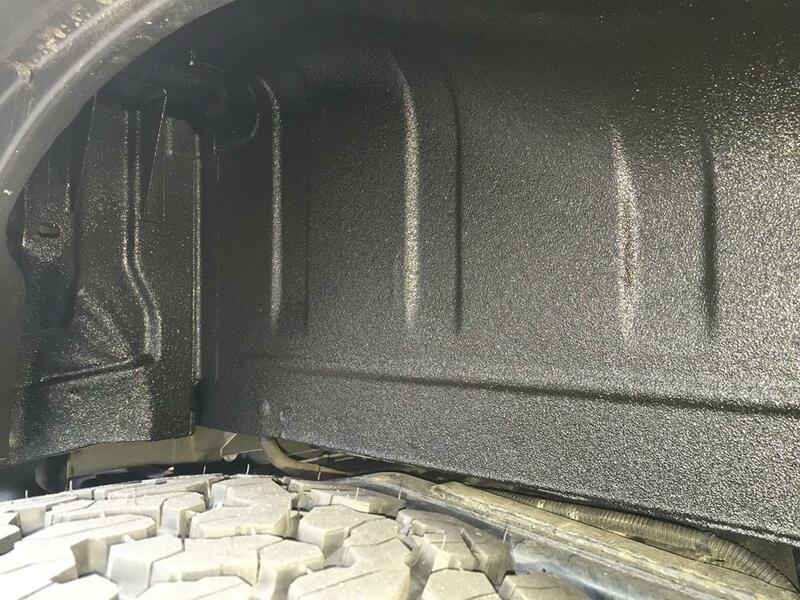 Once again, we opted for the Rhino Linings Extreme Coating. Just as good as the first time! 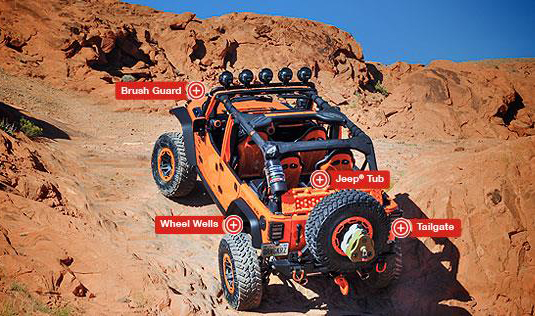 If someone tells you that you can hear rocks that hit the wheel wells without the plastic splash guards in place, tell them that it is a Jeep-its ok. 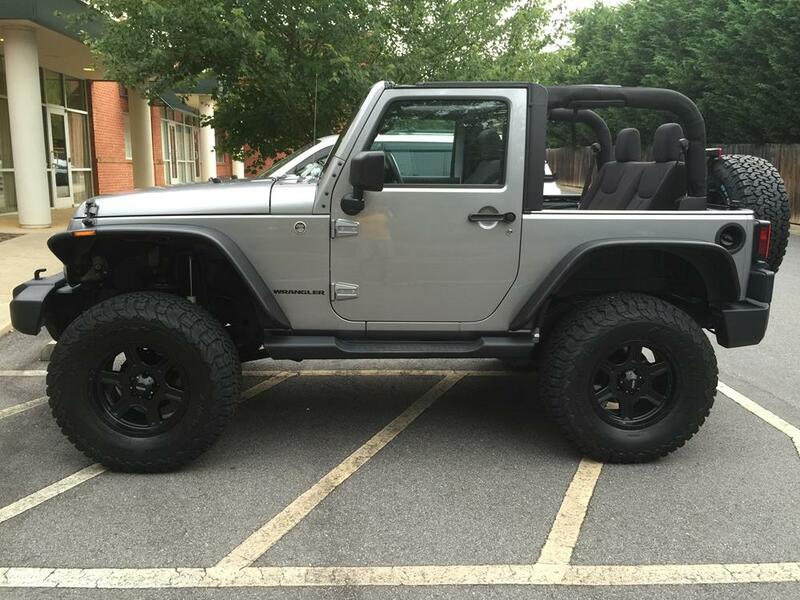 The Rhino Linings wheel wells are much better. I have got to figure out a way to add Rhino Linings to the front wheel wells. I will be working on it! Thank You Rhino Linings of Western North Carolina.